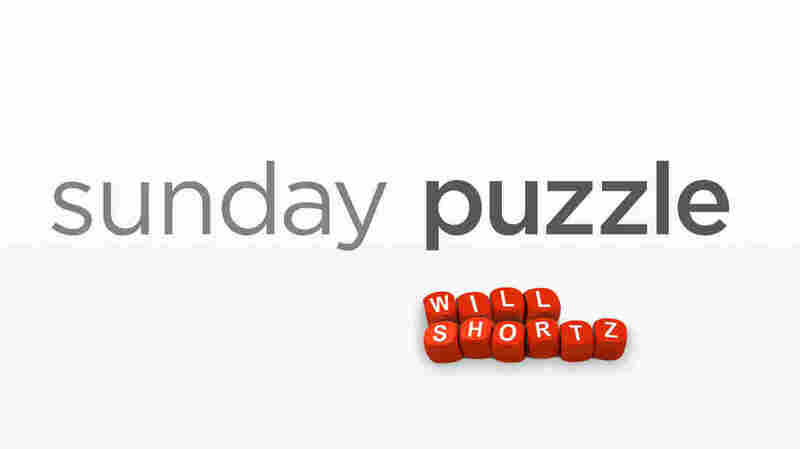 Sunday Puzzle: Drop And Give Me 6 NPR's Lulu Garcia-Navarro and puzzle master Will Shortz play the puzzle this week with Joe Lewis of Portland, Maine. On-air challenge: I'm going to give you clues for some 8-letter words. Each one has a doubled letter somewhere in it. Drop the doubled letter, and the remaining letters in order will spell a 6-letter word that answers the second clue. 6. Eliding or passing over / Activity at Vail, Colo.
Last week's challenge: Think of a popular two-word song title in 7 letters. If you have the right one, you can rearrange the letters to name an animal and the sound it makes. What is it? Here's a hint: The title is in a foreign language. Winner: Joe Lewis of Portland, Maine. Next week's challenge: Easter is coming up next Sunday. Here's an Easter-related challenge from Jim Levering of San Antonio, Texas. Name a small but well-known U.S. city, followed by its two-letter state postal abbreviation. This string of letters, reading from left to right, spells two consecutive words that name distinctive characteristics of bunnies. What city is it? If you know the answer to next week's challenge, submit it here. Listeners who submit correct answers win a chance to play the on-air puzzle. Important: Include a phone number where we can reach you Thursday, March 29 at 3 p.m. ET.